The ePapillon offers many advantages over conventional luminaires. Quite simply, it uses the same amount energy to produce more light. 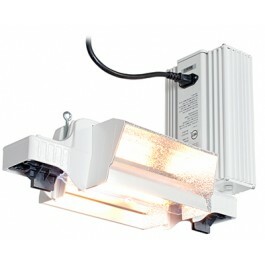 This is achieved by combining a superior reflector (95% efficiency) with the brighter Double Ended 1000 watt EL lamp. Giving the ePapillon package the highest PAR output per watt. 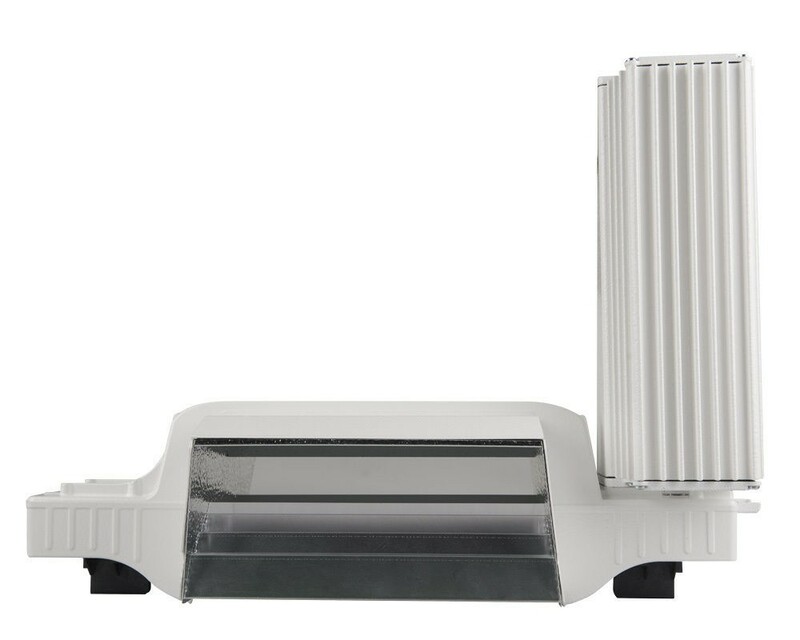 The design of the reflector allows for easy removal, for cleaning and replacement. The ePapillon uses a safety cover that provides a thermal buffer between the hot reflector material and any objects that it may come in contact with. The protective cover reduces the surface heat trom 390°F down to 160°F. The Open Reflector Functionality directs more light to the canopy while trapping considerably less heat. Heat is allowed to rise away from the canopy more efficiently. 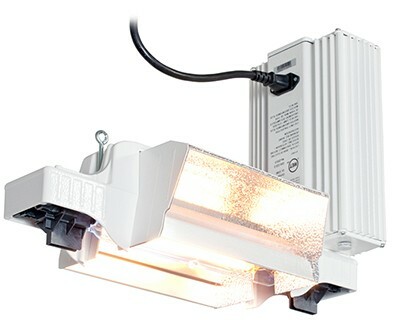 The heat that is generated on the lamp surface is not transferred directly to the plant, but indirectly, with air acting as a carrier. Using the open reflector concept, a natural air current is created, with which the heat is distributed evenly throughout the environment, thereby preventing the formation of hotspots on the plant. 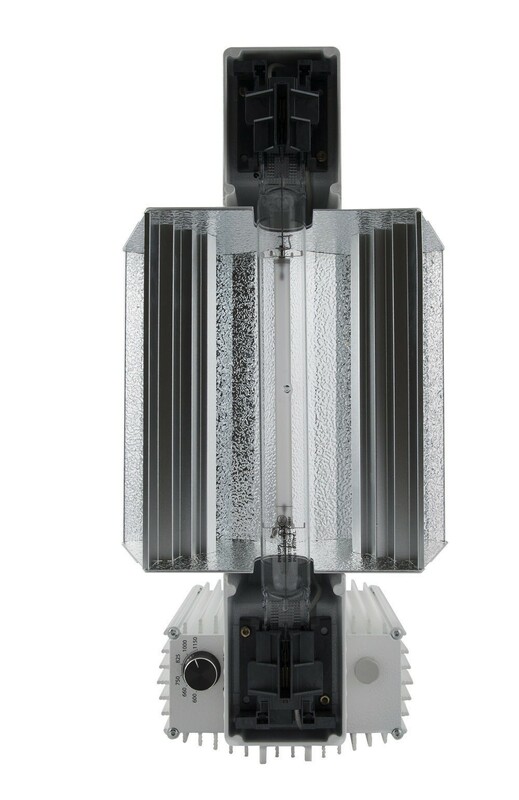 The Reflector allows heat to dissipate away trom the canopy, greatly reducing garden hotspots and increasing overall lamp life (less heat build up). 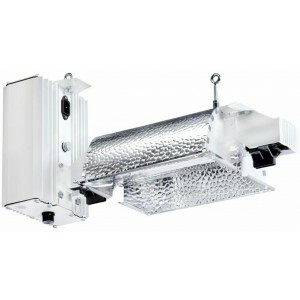 The patented open reflector design has the highest reflector efficiency available. The reflector allows heat to dissipate away from the canopy, greatly reducing garden hotspots and increasing overall lamp life (less heat build up). The reflector includes a safety cover creating a thermal barrier between the hot surfaces and anything that may come in contact with the unit. 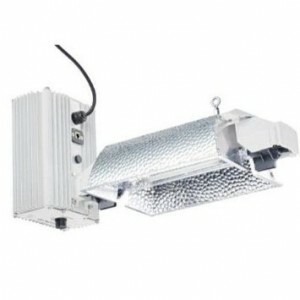 Includes: Double Ended 1000w EL lamp. Lamp & Reflector easily replaceable.